Automated feedback and Writing Analytics: Can it help student writing? Across educational contexts, students' written communication is a fundamental concern. Research and commercial tools built on Natural Language Processing (NLP) technologies have gained some traction in supporting the analysis of writing for educational purposes. In learning analytics, the sub-domain Writing Analytics has emerged to support students in their writing practices that provides insights to students and educators. Using writing analytics, computational tools can give automated feedback on text features in writing at scale in a timely manner. AcaWriter is one such tool developed by the Connected Intelligence Centre, University of Technology (UTS) Sydney that provides feedback on rhetorical moves in academic writing. However, for these tools to impact students’ writing practices, they must be integrated into the teaching and learning contexts where they guide action, connect theory, pedagogy, and assessment. It is also important to understand the complexity of language and the limitations of tools in terms of what they can comprehend from texts. In this session, we will provide a general overview of writing analytics and demo AcaWriter, with examples on how we design learning activities around it with educators. This includes designing writing tasks, tuning the writing feedback to provide meaningful insights for specific learning contexts and studying student writing using data from these contexts. You’re welcome to try AcaWriter, so bring your laptop and a sample of academic writing. 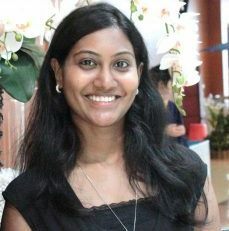 Shibani is a Researcher and Doctoral Student in Learning Analytics at the Connected Intelligence Centre, University of Technology (UTS) Sydney. A computer science engineer by training, she uses analytic techniques to study and improve educational practice, with primary focus on text analytics. 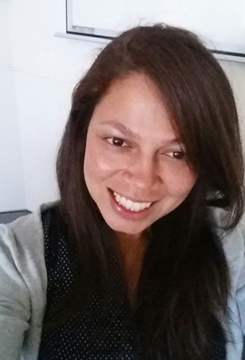 In her doctoral research, she works on Writing Analytics technology providing automated feedback on student writing, and its integration into the classroom for pedagogic use. She has chaired Writing Analytics workshops in international conferences and is an active member of the Society for Learning Analytics Research. Sophie is a PhD student at the Connected Intelligence Centre, UTS and is an Academic Language and Learning Educator. Sophie has co-ordinated various academic literacy programs and has taught writing and communication skills to a variety of students, from Japanese high school students, newly arrived migrants and refugees, VET, undergraduate and masters coursework students to higher degree research (HDR) students. Her research focuses on the writing practices of HDR students, and how writing analytic tools and automated feedback can be used to help Higher Degree Research (HDR) students develop their research writing skills and improve their writing process, especially, in the early stages of their writing. For more information about the UNSW Learning Analytics & Data Science in Education Research Group (LA-EDS), click here.